Cynicism be damned; I enjoyed Cardfight!! Vanguard Part 1. Sure, it's a TV series designed to sell a card game but I simply do not care. The same can be said for Pokemon and Yu-Gi-Oh! R, the latter of which shares a creator with CV, Akira Ito. Heck, if we succumb to cynicism then we'll be relegated to watching a select few anime series because whether you like it or not, merchandising is a core part of the medium. It's time - Stand up, my Vanguard! Shy third year middle school student, Aichi Sendou, doesn’t have much going for him when he spends most of his time contemplating on the past. But his life is due for a change and it all rests on a card called “Blaster Blade”, given to him when he was young. “Blaster Blade” is apart of “Cardfight!! Vanguard”, a card game that is sweeping the world by storm for its highly realistic gaming system. 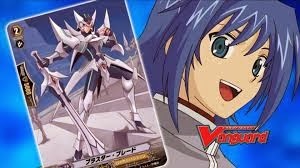 Through Toshiki Kai, a highly skilled Vanguard player, Aichi’s boring life will be turned upside down as he’s quickly introduced into this competitive world. As Aichi immerses himself deeper into the Vanguard world, the less he finds himself looking into the past and instead setting his sights more on his future to prove his worth. One thing that sets CV apart from the aforementioned series' is its setting. Instead of taking place in the game world, CV is set in the real world and shows characters playing their hands. The main character in the series, Aichi Sendou, is a young and idealistic chap who has never played CV before but finds himself motivated by a chance encounter with gun-player, Kai. 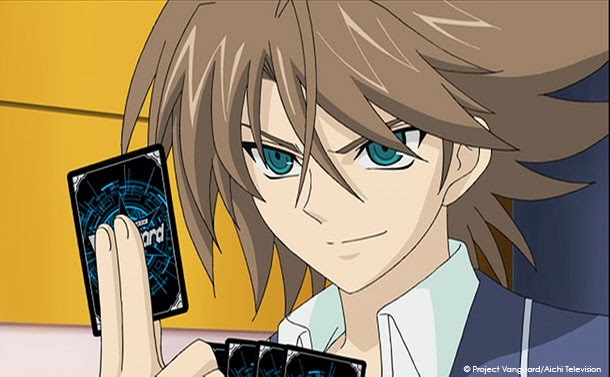 Throughout the first few episodes, the viewer learns the basics of the game along with Aichi and as the series progresses so does the difficulty level of Aichi's matches and corresponding lessons. As much as we're taught how to play the game, the episodes are never boring and are centered around battles which take place both a table in "Card Capital" and in the fictional world portrayed by the cards. The pedigree of Cardfight!! 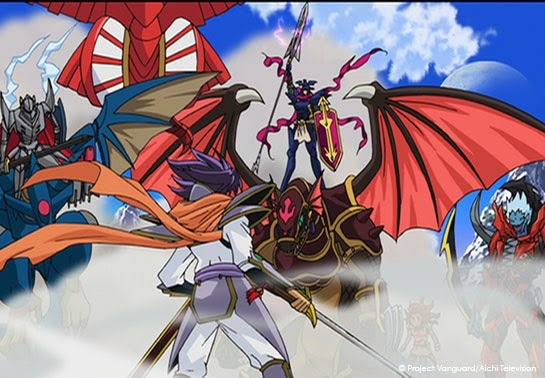 Vanguard is quite impressive with the involvement of Akira Ito, Satoshi Nakamura of Duel Masters and the president of Bushiroad Takaaki Kidani. This ensures that the mechanics of the game are well thought out and the card quality is great quality. While this generally shouldn't matter for the anime incarnation, the actual cards are used during the game and, to be brutally honest, they often look better than the actual animation itself which is supplied by TMS, the studio behind Bakugan among many others. The animation quality isn't bad, but it's also not particularly good. 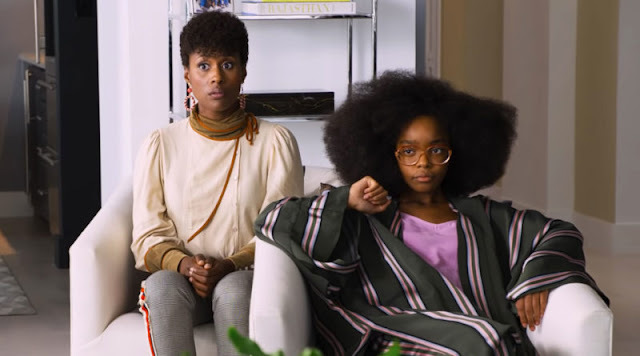 Managing to be passable TV fare, at very least the characters have original designs which fit the intended audience range. As the series progresses, we start to learn different play styles, attack patterns and defense. With each thrilling victory or defeat, we're shown more and more of the intricacies of the actual game. Hanabee have released some damn fine looking DVDs since hitting the market. Following their gorgeous Bakemonogatari art book releases and sticker-laden Little Buster collections we arrive at Cardfight!! Vanguard Part 1 which, appropriately, comes with a "Flash Fight" set included. You'll get everything that you need to play a flash fight, a mini-battle using a selection of CV cards. This is enough to whet your appetite and put into play the lessons learned by Aichi, Kai, Kamui and Ninja Master-M. Cardfight!! Vanguard isn't for everybody but if you're looking for a series which is fun, light-hearted and which has enough character development to keep your interest, you might be pleasantly surprised. 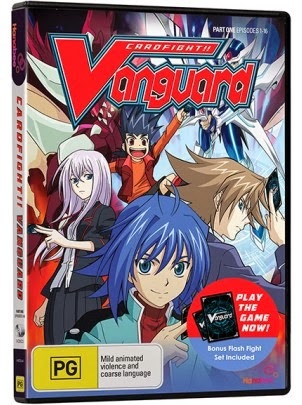 Although you don't have to play Vanguard yourself to enjoy the series, I seriously doubt that you'll be able to watch this first collection without at least entertaining the idea of jumping on board. Trust me, I've already ordered a trial set for myself! Also, don't forget to check out the super cheesy/wonderfully catchy opening theme by JAM Project. GET CRAZY WAAAY! Cardfight!! Vanguard Part 1 is available on DVD from Hanabee now! Hi Jeremy! Thanks for reading! It includes a few of the cards from the Blaster Blade trial deck (except Blaster Blade).